This is a vintage inspired lampshade made with a modern hand printed woodgrain pattern. 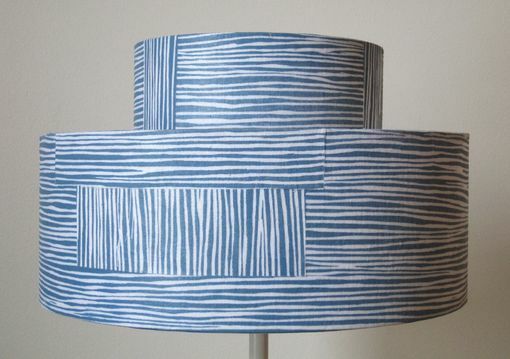 Hand printed in a denim blue color onto a linen fabric. 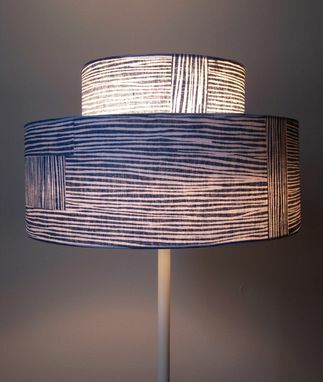 After the fabric was hand printed I collaged the woodgrain print onto a lamp shade backing(styrene) in different directions create this unique shade. 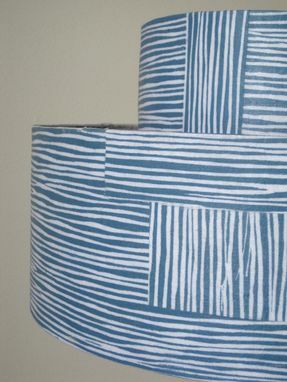 This is a clip-on shade and a great shade for a table lamp. 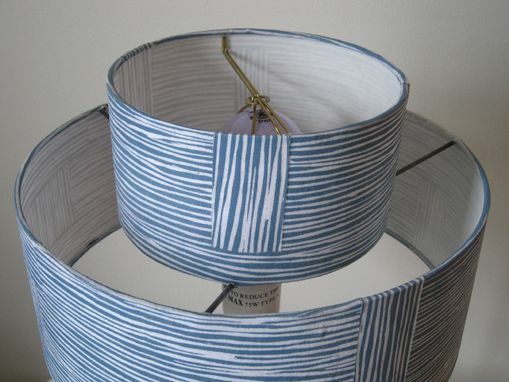 diameter of bottom tier: 12"
diameter of top tier: 7"